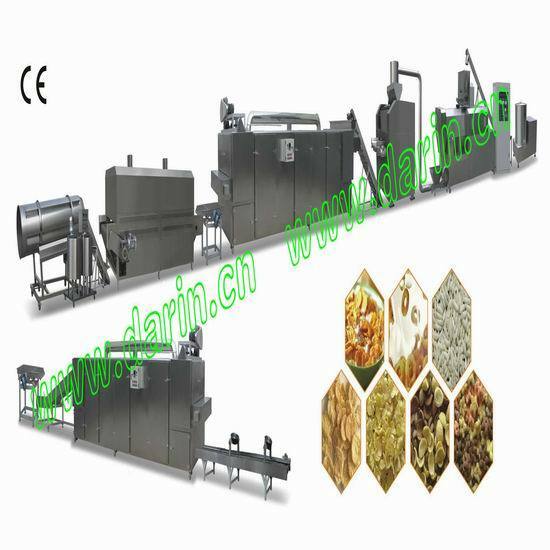 Complete circle for production of corn flakes, which has regular shapes and tasty taste. Having the ability to add vitamins, protein concentrates and fiber further enhances the ranges of products possible with the corn flakes system, thus allowing you make the right product for each market segment. Based on low density, strong product structure and low permeability, breakfast cereals made on Corn Flakes Processing Line are excellent for coating with sugar solutions.